My oldest daughter rarely likes to dress up and play with make-up. She likes to have me paint her nails but it's only occasionally. She lets me comb her beautiful golden locks every night but seldom lets me do pony tails, braids or anything for that matter. This layout is based on Karan's Sketchabilities sketch and is a tribute to the day my daughter surprised me by going on a trip to the nail salon (I was getting a pedicure). 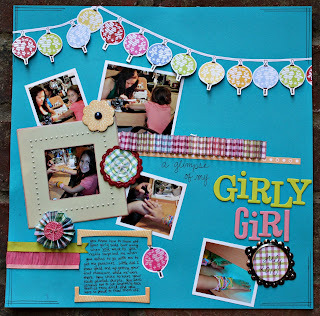 Check out what my fellow DT gals did with this sketch on the Sketchabilities blog. 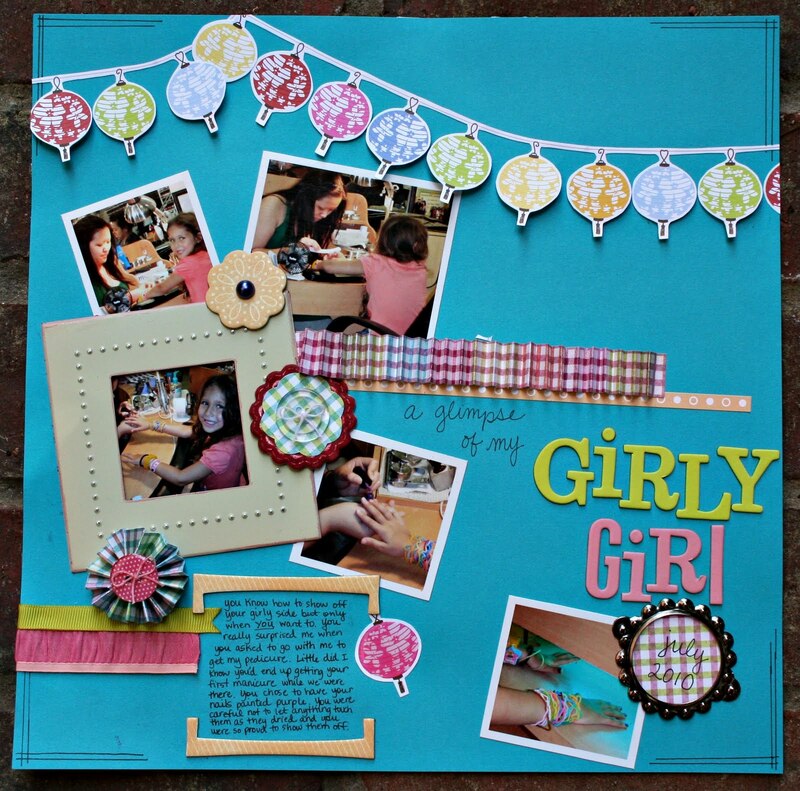 Beautiful layout -- love the lantern banner and the way you framed your journaling! I love the big frame and the lantern banner - gorgeous!